Welcome to a new installment in the Races on our Radar series, where we report on cool and/or low-cost races, group runs, price and registration deadlines, and other things we think you should know about it. Super fun and low-price race alert! The Stoller Vineyards 5k, which benefits Dayton High’s track and field programs, had a date change to Saturday, April 7, 2018. This spectacular race is only $20, and participants 21+ can enjoy a wine tasting plus discounts on Stoller wines. It’s a XC-style course for the first mile or so, just FYI. There’s a low-price race in Eugene on Sunday, April 8. The 4J 6k AVID Strides for Education is only $20 through April 6 for adults or only $10 for students. 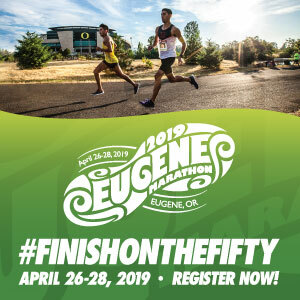 The race supports the Eugene Education Foundation and offers a unique distance (AKA a perfect chance for a new PR). The next race in Eugene’s Taco Tuesday Twilight Trot Series is on April 3. Registration is $25 when done online ahead of time for $30 DOR. Runs start at Eclectic Edge’s office at 750 Commercial St and start at 6p; registration includes a taco bar and two drink tickets. Do you remember “Book It?” The City of Halsey (between Corvallis and Brownsville) is hosting the “Book It 5k” on April 21, and if you want a t-shirt you’ll have to sign up by April 6! Registration with the shirt is $27 and $22 without. Get a mail-in entry form here. The winner of each age group wins a trophy! One relay that doesn’t get a lot of coverage but is a great event for a great price is the 30k Circle the Bay Run/Walk/3-Person Relay. The event is August 11 in North Bend, Ore., and is one of the state’s longest-running relays. 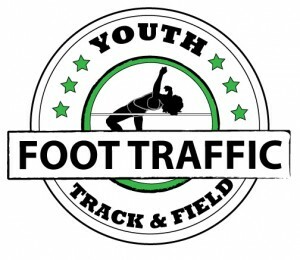 Hosted by the South Coast Running Club, non-members pay only $82.50 for a team or $40 for an individual. Two Hood to Coast Race Series events have a price increase on April 9. Until then, the Red White and Blues 10k/15k/Half on June 30 is $50/$60/$70 and the Crawfish Crawl Relay/5k/Half are $45/$30/$70 (Relay price is per person). Goat Mountain Gallop Half Marathon is on April 21 in Molalla – and it’s only $35 (without the shirt, with the shirt it’s still only $45). The race raises funds for the Molalla High School track & cross country, and offers a challenging point to point course with chip timing and a separate awards category for walkers. Organizers do an excellent job and I highly recommend this event. The Beaverton Half Marathon – which will feature a Run Oregon blogger aid station – is coming up on June 3. The price for this first-year event is still only $69! There is also a 5k for $39. And in case you didn’t know, this race is organized by Run With Paula – that team does an amazing, wonderful job. Our friends at Go Beyond Racing have a new race … it’s not an ultra but it’s still a cool challenge. 6 miles, 1,900 feet of gain. The Gnar Gnar on August 26th will be at Mt. Hood Ski-Bowl. Sign up by April 24 for $50. That’s it! That’s all I’ve got this week. But there are a ton of cool races coming up, so keep training and check back next Tuesday.